After School Classes - How does the change over work? To book a place in any of the classes for your child please just email info@catchperform.com or use the contact form on this website. When booking we will need your child's full name, class at Belleville or age (if a senior student), a contact telephone number and if there are any medical issues we should know about about. Fees are payable for a full term when signing up, but if your child decides not do a class after the trial then no payment is due. The early bird deadline this term is Sunday 27th January 2019. All fees must be paid by Sunday 17th February. Please note that from January 2019 our fees will increase and the fee will remain the same as above for a 10 week term. We have not increased our fees in 4 years so we think it is fair to do so now. We do plan to keep 11 week terms for the September - December term though for the next few years at least and keep the fees the same. 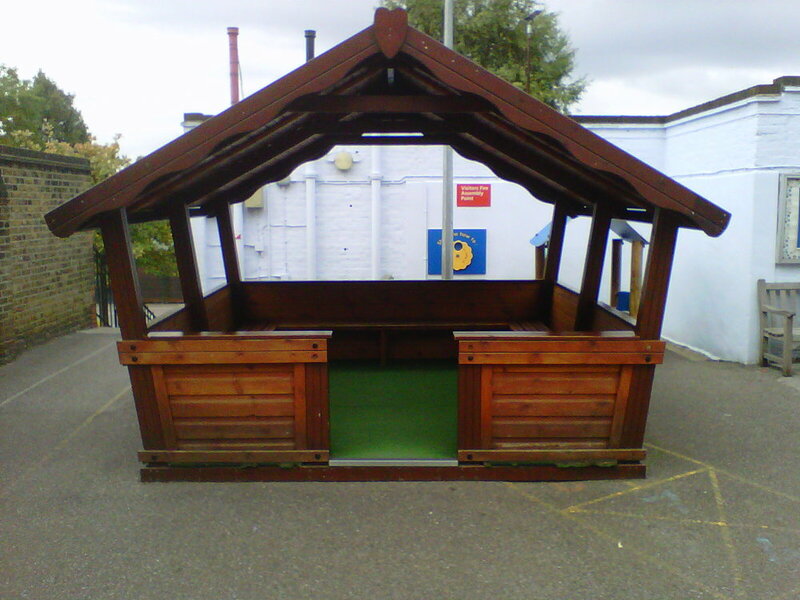 At Webbs Road Site - The Catch teacher will meet the students outside in The Hut (pictured) on the upper playground. Younger students will be collected from the class lines. On Tuesdays the students will need to meet in the picnic area, just next to the hut. Here they will be able to have their snack (you will need to provide) and then will make their way to the classroom. Students will then need to be collected from the picnic area after class from 4.45pm or on Tuesdays after 3.35pm. At Meteor Road Site - The Catch teacher will collect the students from their classrooms or the playground straight after school. Older students can meet the teacher in the classroom/hall. The students will have time for a snack (you will need to provide) before class. Students will need to be collected from the reception area at the entrance to the school on Mondays and Thursdays at 4.45pm and on Tuesdays at 3.35pm. Tuesday Dance Classes - For any junior students who attend Belleville and want to attend our tap and dance classes at Bolingbroke, Miss Emma can meet students outside the Belleville office at 4.45pm and walk over with them. Infant and Junior Classes at Belleville - Students are encouraged to wear a Catch t-shirt and put on shorts or leggings under skirts. Senior Classes - Students should wear black leggings and a Catch t-shirt. Students should wear a Catch t-shirt and black leggings. Students should wear black tap shoes, black leggings or tights and a leotard of their choice. A Catch t-shirt can be worn on top. Hair should be neat and off the face. Students should wear black leggings with a leotard of their choice. A Catch t-shirt can be worn on top. Students should wear clean trainers, black leggings or joggers and a Catch t-shirt. Catch t-shirts can be purchased by adding what you require to the booking form and the cost will be added to your termly invoice. Students will be given the t-shirts in class by their teacher. We hope to have an online purchasing option very soon! Please letters below for all the information you need!